Getting your rain jacket right can be the difference between a good time on the trails and an absolutely miserable one. The market, however, presents you with a dizzying array of options, all claiming superlative qualities, quirks, design features and degrees of waterproofing. Avoiding the potential pitfalls and false promises can be like negotiating a minefield or, even worse, lead to a very expensive exercise in trial and error. To help make sure you don’t succumb to any such troubles, below we offer our definitive list of the best rain jackets for hiking in 2017 and the skinny on the most important factors to consider before hitting the checkout. Once upon a time, a rain jacket was a rain jacket. These days, this is no longer the case. Rain jackets can now be divided into a very wide variety of categories and sub-categories, with even further sub-types contained within each of these. In an effort to keep things simple, we’re going to focus on the three more general categories into which most rain jackets fall - softshell, hardshell and performance shell. Softshell jackets are not typically fully waterproof but these days more and more models are appearing on the market that offer improved waterproofing compared to older varieties. 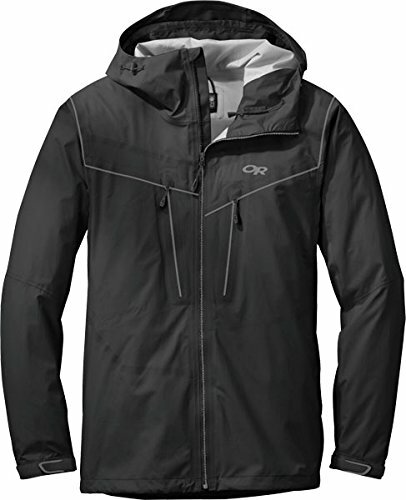 Ordinarily, a softshell jacket offers water resistance through a DWR (Durable Water Repellent) coating. This coating allows the fabric to shed precipitation without soaking into the fabric. The rest of the material (such as the seams and zips), however, is fully exposed to rainfall and can be prone to leakage. The DWR coating, moreover, tends to lose its effectiveness over time. On the positive side, softshells are generally a touch thicker than hardshells and as such offer a degree or two of extra warmth and wind protection. They are also usually made of more flexible materials and offer you more dexterity and freedom of movement than the stiffer fabrics used in technical or bona fide hardshells. Hardshell jackets are made for more extreme conditions and built to withstand a true downpour for as long as you should happen to be out in it. They feature sealed seams and zippers, and usually an integrated laminate layer like Gore-Tex, NeoShell, eVent, or other more impregnable coatings that prevents moisture absorption. Although stiffer and sometimes less breathable than softshells, some brands are now introducing hardshells that feature softshell panels which allow for greater comfort and maneuverability. Performance shell jackets are essentially hybrid models that combine the best features of a softshell jacket (breathability, freedom of movement, comfort) with the water resistance of tougher hardshell models. These models are made to offer maximum performance when on the move in even the wettest conditions. This in-a-nutshell video from Arc’teryx offers a nice little bit of insight into when and where to use a hardshell or softshell. 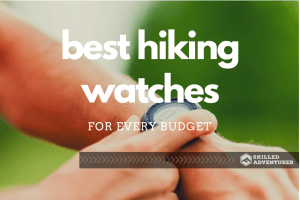 Which of these will prove to be most suitable for your needs depends largely on your hiking habits. If you’re a fair-weather hiker and apt to stay at home if the forecast is looking a little bit iffy, then a water resistant jacket will most likely serve your purposes for protection from the odd unanticipated shower. If, however, you’d prefer something that’s going to let you get out on a hike even in the worst of conditions and stay dry while doing so, a hardshell is the way to go. When perusing the specs of good rain jackets for hiking, you’re likely to come across a ‘waterproof rating’ listed as a number somewhere between 0 and 20,000mm. This number refers to the amount of liquid a jacket’s materials can withstand in test conditions measuring a one-inch diameter of fabric. Essentially, the higher the number, the more waterproof the jacket. Note: Be cautious when factoring waterproof ratings into your pre-purchase considerations. There are several other factors and features that contribute to a jacket’s overall waterproofing capacities (sealed seams and water resistant zips, for example), and many jackets with a high waterproof rating often score low on breathability and/or comfort. Breathability is a huge factor to consider when choosing your rain jacket. Even if your jacket is completely impregnable by the wet stuff falling from the sky, without breathability you’re sure to end up soaked by the stuff leaking from your body! Breathability refers to a jacket’s ability to wick perspiration out of the inside of the jacket without letting rainwater come in. Most modern rain jackets boast breathability, but the extent to which they do so varies greatly. The most breathable materials you can find in a rain jacket include Gore-Tex, eVent, HyVent, NeoShell and MemBrain. To ensure you’re not going to end up marinating in your own sweat, look for any of these when buying and check user reviews for personal accounts of how a jacket performs out in the field. When hiking or backpacking, weight and pack size are massively important factors. Ultralight jackets can weigh as little as 5 ounces and pack down to the size of tennis ball. At the other end of the scale, tougher hardshell, softshell and three-layer jackets can weigh as much as 25 ounces and have a pack size comparable to a cantaloupe melon. 5 ounces or 25 ounces? Tennis ball or cantaloupe melon? Finding a balance between a jacket that’s light, packs small and yet doesn’t sacrifice waterproofing capacities is essentially the best means of pinpointing the one that’s going to work best for you. Pit zips or side vents - very useful breathability-boosters that let you ventilate quickly without letting in water. Taped seams - usually featured on pricier jackets, these add protection in the areas most prone to leakage. Helmet-compatible hood - if your hiking trips usually cross terrain where a helmet is required, a helmet-fitted hood is highly recommended as it allows you to pull the hood over the top of your helmet. If not, the extra material used in this type of hood is more likely to be a nuisance. Adjustable hood - essential in wild and windy conditions to prevent the hood being blown backwards or into your eyes. Peaked hood - this feature helps to keep the rain off of your face and out of your eyes. Pockets - while this may seem like a no-brainer, many jackets have pockets that are too small for map carrying or inconveniently located. If you like to keep your map on your person, look for a large chest pocket. For easy access and convenience, look for pockets that are situated above the point where your backpack’s hipbelt crosses your midriff. Your backpack can become mightily uncomfortable if the back panel isn’t sufficiently padded or ventilated. Mesh and molded foams offset or thwart the poking capacity of hard or sharp objects by providing a space or buffer between you and the pack’s contents. This buffer or space also aids ventilation. Most forms of padding will be contoured so as to allow air-flow between your body and the pack. Other packs use a suspended mesh back panel, which provides ventilation by holding the pack an inch or so away from your back. Ready for our review? Okay, let’s do it…! In recent years, Montane have introduced some of the best rain gear we’ve ever had the pleasure of wearing. The Minimus 777 is no exception. This jacket ticks just about all the boxes that need ticking… and in style, too! It weighs in at a mere 4.7oz, packs down to a tiny size, is fully waterproof and boasts great breathability to boot. Features-wise, it’s a little behind a few other, full-blown hardshell jackets in our review but still boasts micro-taped seams, articulated arms (for a greater range of movement without lifting the hem) and a peaked hood. 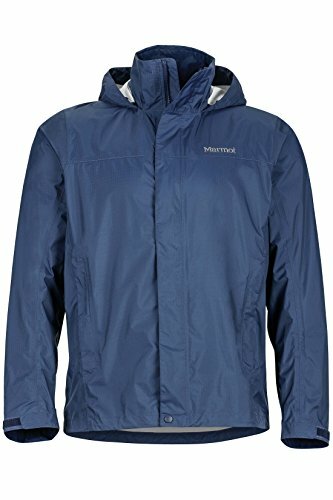 The downsides to this jacket are its very lofty price, lack of durability compared to true hardshell jackets and its pull-on design. The last of these drawbacks in particular may prove to be a deal-breaker for some. It not only means it’s not so easy to put on and take off, but also that it lacks a jacket’s sure-fire and fast-track means of ventilation - a full zip! The Minimalist is a low-cost, high-performing jacket with plenty of things going for it. The name, however, is something of a misnomer. It may be ‘Minimalist’ by name, but by nature this jacket is something a bit more substantial. It weighs in at just over 15 oz and uses thicker fabrics than most of the lightweight jackets in our review. Some other elements that add to the weight and size of the Minimalist are the bulky zipper, thicker cinch cords and hood material, and larger zipper pulls. For some, these additions will be welcomed for their superior robustness and ease-of-use. On the downside, this jacket is fairly heavy and not as downpour-proof as other jackets in its price range. The 2.5-layer Gore-Tex construction offers better breathability than similarly priced models but other, only slightly pricier jackets will provide a little bit more in terms of both breathability and waterproofing. All in all, a tough, reliable, windproof jacket with good (but not spectacular) waterproofing at a reasonable price. For deluge-denying performance at a very low weight and tiny pack size, you might not need to look any further than the OR Realm. 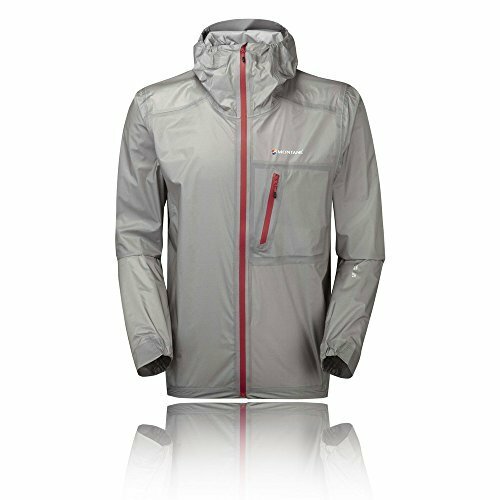 This isn’t the lightest jacket in our review and certainly not the cheapest. However, this very well made all-rounder covers every base you’re likely to need covering and does so with oodles of quality. It’s fully waterproof owing to its 3-layer AscentShell construction, has great breathability, a nicely peaked hood and full-length underarm zips for increased ventilation. Although Gore-Tex has been the dominant material used in the best rain gear for decades, AscentShell matches it all the way, with the added benefit of built-in stretch for increased flexibility and freedom of movement. Downsides? Other than the price, we’re still looking! Quite pricey, but otherwise hard to find! 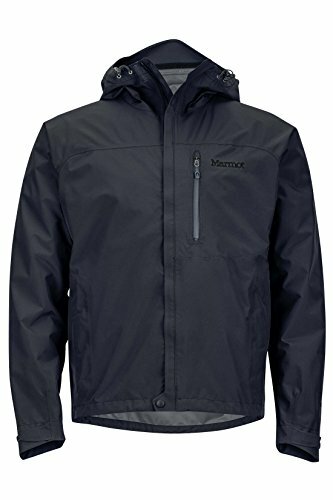 A true contender in the category of best rain jacket for those on a budget. The Precip weighs just 10.5oz, packs down to a small bundle and boasts a very decent feature set for such a reasonably priced piece of kit. It boasts good breathability, a roll-away hood, pit zips, and water-tight cuffs and hood closures. This jacket lacks a chest pocket and doesn’t quite have the same waterproofing capacities as pricier hardshells. But if you’re looking for a reliable option that offers fantastic value for money, this could well be the jacket for you. A solid performer at a very agreeable price and ideal for the occasional hiker. The OR Helium II might be a tad pricier than some jackets in our review, but it’s a bit of a bargain nonetheless. This fantastically light and packable shell falls into the mid-range category price-wise, but in other aspects in anything but middling! It’s completely waterproof, weighs just 6.4oz and is a very high-performer in even the heaviest of downpours. On the downside, this jacket doesn’t breathe as well as similarly priced options in our review and doesn’t have pit zips or hand pockets. That said, it still offers good value for money and is a reliable, solid option for those who prefer to keep things ultralight. Choosing a good rain jacket for hiking is all about balancing performance levels with weight, pack size and your budget restrictions. 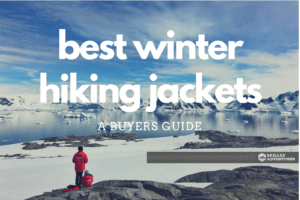 This review has analyzed a variety of jackets catering to various budgets and in terms of overall quality, performance and value for money found the Outdoor Research Realm to be a hands-down winner across the board. The OR Realm isn’t the cheapest rain jacket you’ll ever find, but it's one that oozes quality from the first stitch in the hem to the last toggle in the hood. It’s fully waterproof, offers great breathability and boasts a wealth of features that boost its overall functionality and practicality to just a shade short of spectacular. 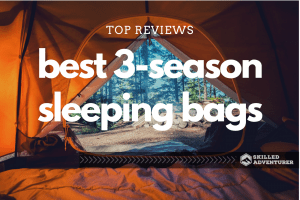 The deciding factor in choosing the Realm as our top pick is that it offers all of this at a very low weight, decent price, and a very small pack size. The two jackets that came closest to matching the Realm were the Marmot Minimalist and Marmot Precip. The mid-range Minimalist offered stiff competition but just didn’t quite live up to the Realm’s top-notch breathability, waterproofing and features set. The Precip, on the other hand, is a great jacket at a great price, but is less likely to keep you dry in a downpour than the all but impermeable Realm.